Wirecard (GER:WDI) is one of the world’s fastest growing digital platforms in the area of financial commerce. We provide both corporate clients and consumers with a constantly expanding ecosystem of real-time value-added services built around innovative digital payments by using an integrated B2B2C approach. This ecosystem concentrates on solutions from the areas of payment and risk, retail and transaction banking, loyalty and coupon programmes in addition to data analytics and conversion rate enhancement across all sales channels (online, mobile, ePOS). Wirecard operates regulated financial institutions in several key markets, in addition to holding issuing and acquiring licenses from all major payment and card networks. Wirecard AG is listed on the Frankfurt Stock Exchange (DAX and TecDAX, ISIN DE0007472060). 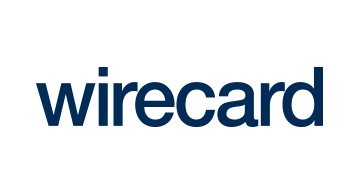 Visit us on www.wirecard.com, follow us on Twitter @wirecard and on Facebook @wirecardgroup.